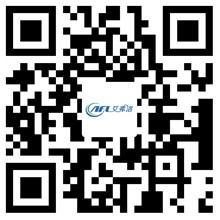 Characteristics and Differences of Axial Flow Fan and Centrifugal Fan - Hangzhou Airflow Electric Appliances Co.,Ltd. Centrifugal fan, the biggest drawback is the large size, because the two different structure, in the same air volume, the same wind pressure case, the centrifugal fan power consumption is larger than the axial fan, but the noise is small, so the axial fan used in fire and ventilation. In the high-end buildings in the building, many require priority use of centrifugal fans. The diameter the axial fan is limited to the diameter of the shell, the centrifugal fan does not have the limitation of this aspect. It can adopt the blade forward or backward blade, and the wind pressure requirement is wider. And the cabinet can do silencer processing, noise indicators have a clear advantage. As the general use of the motor speed is low, the motor power, power consumption phase more. If you usually use ventilation system, try to use cabinet centrifugal fan, fire smoke is not commonly used in the system, the use of high-temperature axial fan more economical and reasonable!